Kite makers, flyers, artists and art lovers of all ages are invited to celebrate the arrival of spring with an afternoon of events and activities. 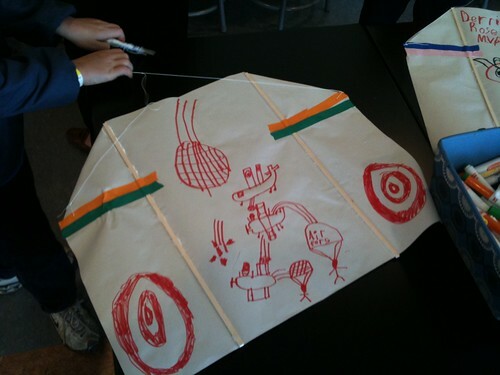 Drop into the studio to make and decorate simple, earth-friendly kites using recycled plastic bag kite material provided by Yevgeniya Kaganovich and the grow crew, or pick up a DIY plein air painting box and head outside for some artmaking. A great opportunity to get to know our Summer Camp staff. 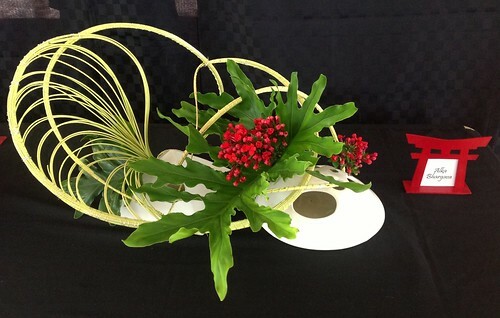 Alka Bhargava will offer an Ikebana (Japanese flower arranging) demonstration at 2 pm. Bhargava, an associate master of the Ichiyo School of Ikebana, creates flower arrangements that give the viewer an experience with nature that is unexpected, stimulating, and profound. The Ichiyo School encourages personal interpretation: imagination is considered as essential to creative design as materials and containers. Many of you may know Bhargava from the Milwaukee Art Museum's Art in Bloom, where she won the Iron Design Competition (2014), the top award (2013), and Best Creative Design (2008 and 2009).